I’m done with my character model! 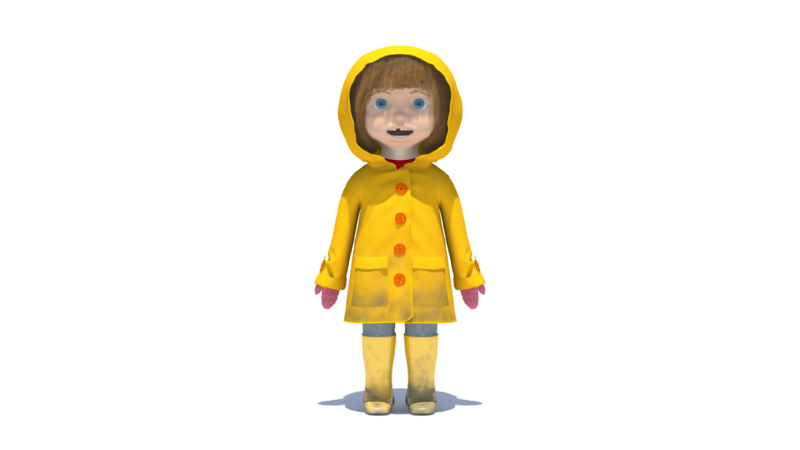 Until I can think of a better name, I’m just calling her “Raincoat Girl”. Getting the hair and cloth sims to work right took aaaggggeeesssss. Thank goodness Marissa Krupen knows so much and helped me out a lot. I wound up cheating on the subsurface scatter for the skin. I couldn’t get it to look right on its own, so I wound up using a layered shader with the subsurface on one layer and a normal texture map on the other layer. I think the end result looks okay. I’ll post more stills later, but now I really need to study for that Finance final that I’ve been avoiding… I also have to make an environment for my character to go in to, and I still have that final project for 3D modeling to finish (I haven’t even started…).